subscriptions and has ceased publication entirely. There is no longer a fan club for Garth Brooks. titled "Touch 'em All" foundation? Or to make a donation! view her photos of Garth as a Met! 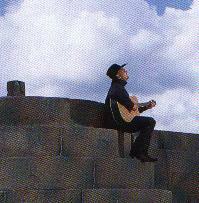 check out this great Garth site! "LOOKING FOR GARTH T-SHIRTS & SUCH?" Since 4/10/98 this page visited over 200,000 times!